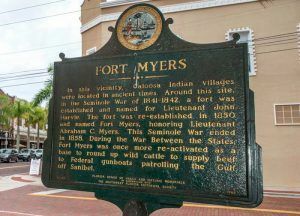 Fort Myers was U.S. Army post established on February 20, 1850, by Major Samuel C. Ridgely. It was named for Captain Abraham C. Myers, the son-in-law of Major General David E. Twiggs, who ordered the fort built. It was built on the site of earlier Fort Harvie. 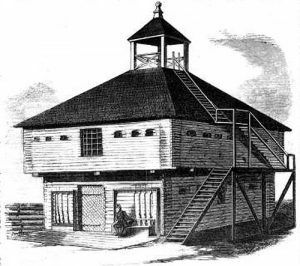 The initial construction of the fort was somewhat delayed by a lack of building materials but supplies sent from Pensacola fueled a building boom that resulted in a fine post with many permanent buildings. The facilities included officers’ quarters, administration offices, a 2½-story hospital, warehouses for the storage of munitions and general supplies, a guard house, blacksmith’s and carpenter’s shops, a kitchen, bakery, laundry, sutler’s store, stables, and even a bowling alley and bathing pier and pavilion. It also boasted a nearly 700 feet long pier that enabled the soldiers to bring in supplies by tram. By 1854 the post was considered one of the finest in Florida. However, the fort was the subject of an investigation by Major J. McKinstry into reports of lavish facilities, which included the bowling alley and bathing pavilion. Some 57 buildings were in place by 1856. The Third Seminole War began in December, 1855 and was over in the Spring of 1858 and Fort Myers played a central role. At the conclusion of the war, about 124 Indians under Billy Bowlegs surrendered and were shipped to a reservation in Arkansas in May 1858. The Fort was then abandoned in June 1858. 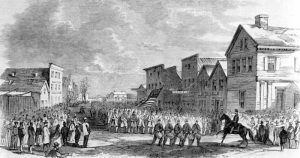 In December 1863, during the Civil War, the fort was reoccupied by five companies of Union troops under Captain James Doyle. It was the only federally occupied fort in South Florida. The Union troops erected a new barracks and a log and earth breastwork around the post. With the fort secured, the troops conducted raids against Confederate beef ranchers in the Florida interior to disrupt beef shipments to the Confederacy. The fort also became a refuge for a handful of escaped slaves and Union sympathizers. Doyle then wheeled his own two cannons outside the fort and the Battle of Fort Myers began with black Union soldiers firing the artillery and the white Union cavalrymen firing their carbines. Throughout the day, both sides continued sporadic firing, which finally ceased at dark. One black Federal soldier was killed in the skirmishing. The next morning, the Cattle Guard Battalion returned to Fort Meade. The Fort was abandoned in June 1865. 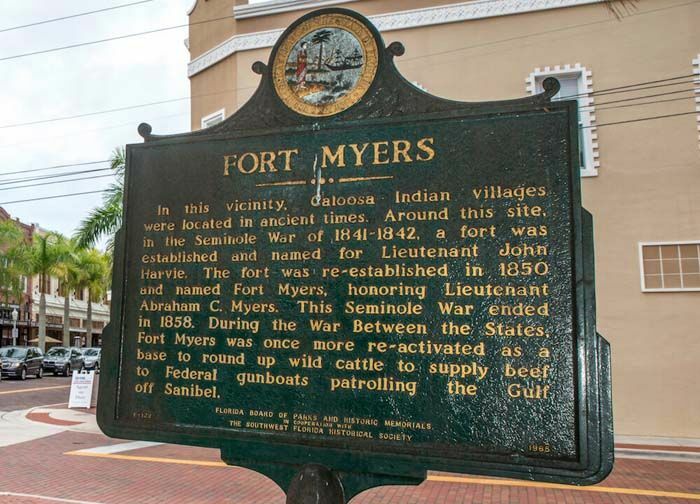 The community of Fort Myers was founded by Captain Manuel A. Gonzalez on February 21, 1866. Captain Gonzalez was familiar with the area as a result of his years of service delivering mail and supplies to the Union Army at the fort during the Seminole Indian Wars and Civil War. Nothing remains of the fort today.